Call me accident-prone if you like (you wouldn’t be alone), but I may be the first author to sprain an ankle on a virtual book tour. 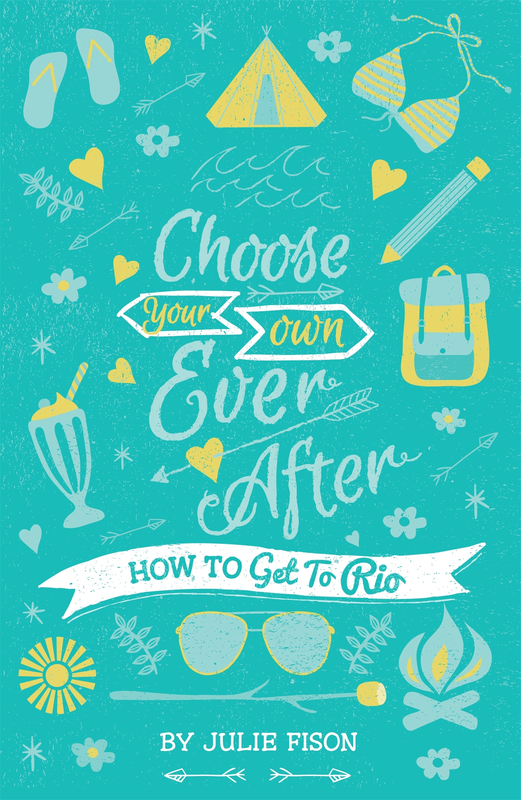 As you know, over the past month, I’ve been visiting writing buddies across the country talking about my first book in the Choose Your Own Ever After series – How to Get To Rio (HGE, 2014). As it’s been a virtual tour, I’ve been able to do all of my interviews and guest posts, without having to get on a plane or disrupt my family schedule. But that’s where things got dangerous. The Noosa North Shore was the inspiration for the Hazard River series. Conditions were perfect this Easter. 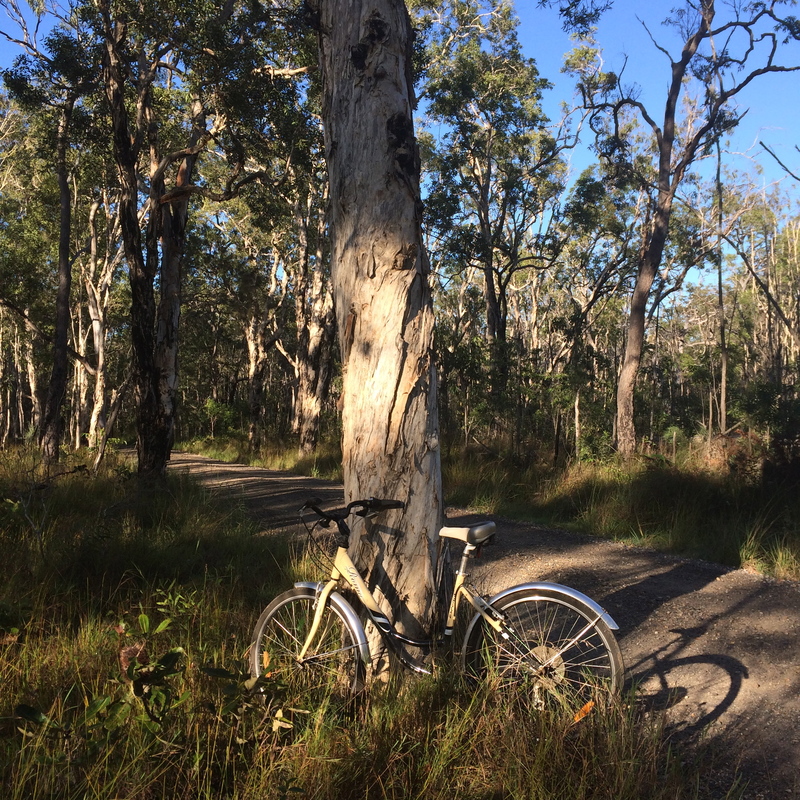 The weather was glorious, and I hadn’t seen a snake, a shark or even a cane toad. I’d been able to attend to my virtual blog tour responsibilities efficiently (a post here, a share there, everywhere a tweet, retweet) and still had plenty of time to get to the beach and go for lots of lovely early-morning bike rides. Glory days! My mistake however was to get involved in a friendly game of North Shore beach soccer. It was boys against the rest, as usual, and we were not going too well. The parents were down five-nil, when I was passed the ball. I dribbled it towards the goal, feeling confident. But before I had a chance to launch my strike, I was taken out by a slide tackle. I can’t name names, but mothers of boys will understand who was responsible. I went down in agony and the game was abandoned. Now I’m sitting at my desk with an icepack on my badly sprained and discoloured ankle, even though it’s the weather for Ugg boots. I should be walking the Great Ocean Road with my book club pals, instead, I’m over-sharing on social media. I’m wondering how things would have turned out if I’d packed my bags and gone on an actual book tour to launch the Choose Your Own After series. This is just the sort of thing I explored in How to Get To Rio – a pick-a-path story for girls 10-14, where every choice has its consequences. By complete coincidence the main character feigns a sprained ankle to get out of a camping trip. I can’t tell you what happens from there, but Kitty gets a nasty surprise too, on one of the pathways. But if the reader doesn’t like the outcome, she can always go back and pick a different path. Of course, that doesn’t work in real life. What’s done is done. All I can do is hope everyone learns from their mistakes. I have. My beach soccer striker days are definitely over (some might say they never really began). I’ll stick to the sidelines from now on or suggest a safer game. Just what that might be I’m not sure. I know a mother who broke her arm playing beach cricket with her kids, and I heard of another mum who banned her son from all competitive sport because she feared an accident. He fainted during a choir rehearsal and broke his wrist. As for virtual blog tours, I’m prepared to take my chances again next time. They aren’t always dangerous. The biggest risks are probably tripping over the dog on the way to make toast or having a panic attack when the tea bags run out. 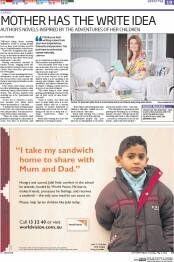 Having said that, life is full of surprises! Thank you to my talented and generous author friends who hosted me on my on this tour. You are legends. Thanks also to Amazing Australia for including me on their website. Not an intended stop on my book tour, and not a list I wanted to be on, either (see the garfish section). This one’s for extreme animal attacks – another wrong place, wrong time holiday story. Here’s a wrap up of my tour, just in case you missed any of my stops.